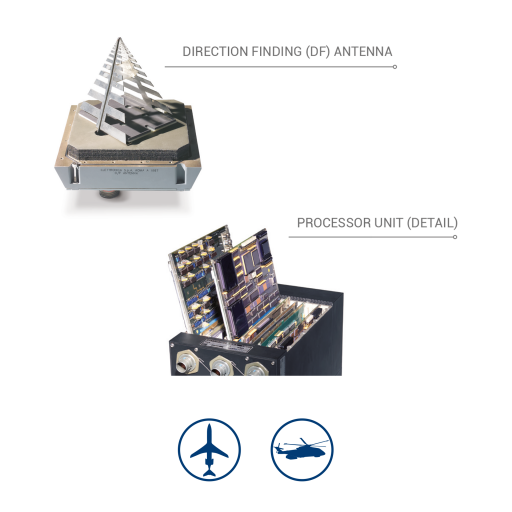 The ALR-733 family of ESM systems is designed to provide automatic surveillance, technical signal analysis and data-collection for post-mission analysis. The ALR-733 family fulfils the operational requirements of different missions, on board helicopters and aircrafts for maritime patrol applications as well as AEW&C. This family of airborne ESM systems features solutions to meet the various operational requirements of today’s Maritime Patrol Aircraft and Helicopters, Airborne Early Warning (AEW) and Air-to-Ground Surveillance (AGS) aircraft, as well as to cope with Situation Awareness needs (for Tactical, SAR and Transport Aircraft) and specific Law Enforcement applications. Pulse, intra-pulse and fine analysis ELINT functions that include measurement of frequency, jitter, stagger, PRF and PRI.